SAN FRANCISCO, September 13, (THEWILL) – Former Ondo State Governor, Olusegun Mimiko, has declared his bid to run for president on the platform of the Labour party in 2019. He made his intention known on Thursday when he visited the party’s secretariat in Abuja. He said there comes a time in the life of a nation where all patriots must stand up to be counted as he lamented the wanton killings across the country especially in the Middle Belt saying purposeful leadership was required to halt the carnage. “There comes a moment in the life of a nation when every patriot must stand up to be counted. At such a moment, no person worthy of a place in history can afford to remain ensconced in their comfort zone,” he said. “When the totality of our being, and the very essence of our humanity are in violation, patriots must advance to recapture the present; and commit to re-defining the future. For our country, Nigeria, the moment is now. “The times are marked by rapid tumbling of our core values. These are times in our country when a decision has become imperative for those we have for too long pretentiously told, ‘the future belongs to you’. “The truth, however, is that bad as these times are, they will not pass away, if we choose to remain on this same old path. The wanton killings currently enveloping the Middle Belt, and many other parts of the country, can indeed become the lot of the entire country. 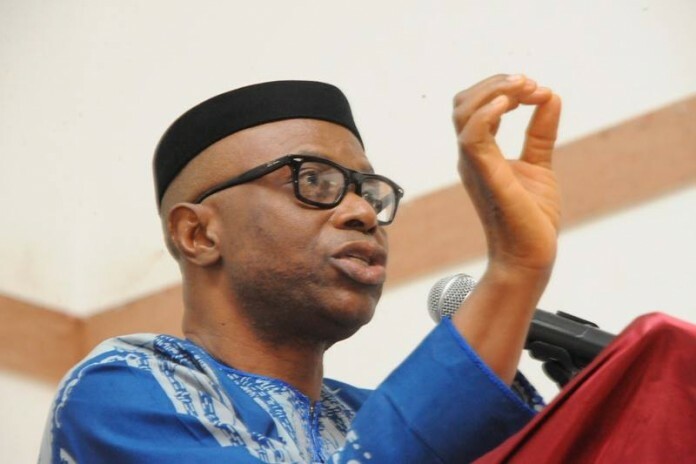 Mimiko, who governed Ondo for eight years, was elected on the platform of Labour Party before he defected to the Peoples Democratic Party (PDP) but returned to the Labour Party in 2018.